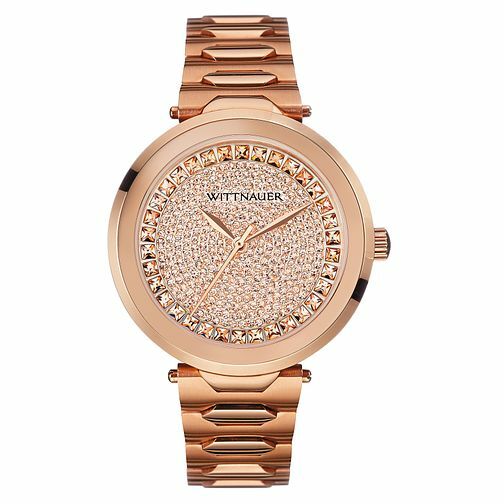 This rose gold-plated timepiece from Wittnauers' Taylor collection offers an extremely sleek and contemporary look. The smooth, high sheen bezel is contrasted with an encrusted crystal dial, which creates a highly reflective and opulent finish. This watch also features 50m water resistance making it practical for everyday wear.